As with any hiring process, it’s wise to look at the candidate’s portfolio. Find out what types of content management systems and software the candidate is familiar with. 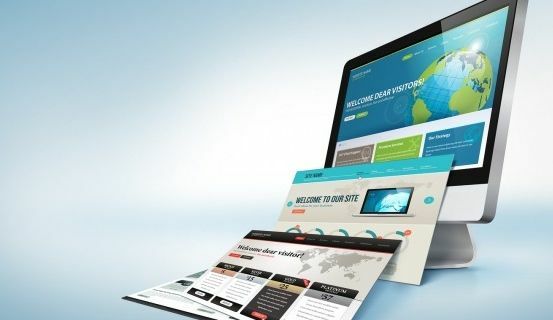 While many Web design companies have impressive examples in their portfolios, you don’t know how long those took to develop, what elements the companies personally did or how much they cost, so ask questions in addition to reviewing the work. 2. Will you help me select plugins and third-party systems, including hosting providers? You want to make sure that the firm is knowledgeable and capable of selecting the right Web-hosting provider and other systems. When it comes to ecommerce websites, this can include SSL certificates for credit card security, as well as a range of additional services to help with the shopping and checkout process. Most clients are not aware of the variety available within the world of Web hosting. The programming language, the quality of the processor, and the amounts of RAM and space used are all direct contributors to the loading time of your site. 3. What portion of your work is done in-house and what portion is outsourced? Size shouldn’t be the biggest factor in choosing a professional in the service industry. Sometimes, the best business has a relatively small footprint but is a perfect match for your needs and tastes. In some cases, firms that are too big can lose the personal touch, and some prefer to work with a non-distributed team that might be more accessible. You’ll also want to know if there’s a dedicated account manager, project manager, or both. If the potential Web design firm is local, consider meeting with the desingers in person. If the firm is not local, find out if someone can meet with you virtually so that you can review designs together and they can train you to update your website. Does the firm exclusively communicate via email, or are people easy to reach by phone? Can you schedule meetings with the firm? It’s important to know if there’s a dedicated person taking the lead or if you’ll talk to a different person each time. Also, find out if you’ll be speaking directly to a designer or programmer. In terms of sharing documents, images, and other attachments, we find that email is our preferred method, but phone support is also crucial (which is why we provide it to our own clients). 5. What are the costs, and how are they calculated? As you’re shopping for the right vendor, you need to look into learn cost estimates and whether those estimates are based on production hours or other metrics. You should also learn how and when payments are accepted, including any long-term fees after project completion. For those costs, make sure you understand who owns the intellectual property, including the site and all its components. 6. What happens if I change scope mid-project? We’ve found that projects without a defined scope of work or that have multiple decision makers frequently see mid-project changes. If possible, clearly state in advance what sort of approvals will be needed if there’s a change. 7. Will you provide me with training throughout the process? Most modern websites are built on a content management system such as WordPress or an ecommerce platform such as Magento. If you haven’t worked with this software before and aren’t big on reading technical manuals, you’ll want to ask how the developers can help. They may offer training as well as ongoing support to answer questions and help when you get stuck on a task. Having the ability to make updates yourself is valuable, but only if you know how to do it. If you’re unfamiliar with the system you’re getting, ask for a training session along with the work. Seth Rand is the founder and CEO of Rand Internet Marketing. He is also an Internet marketing speaker, author, and consultant, specializing in search engine marketing and social media marketing. Follow him on Twitter: @sethrand.